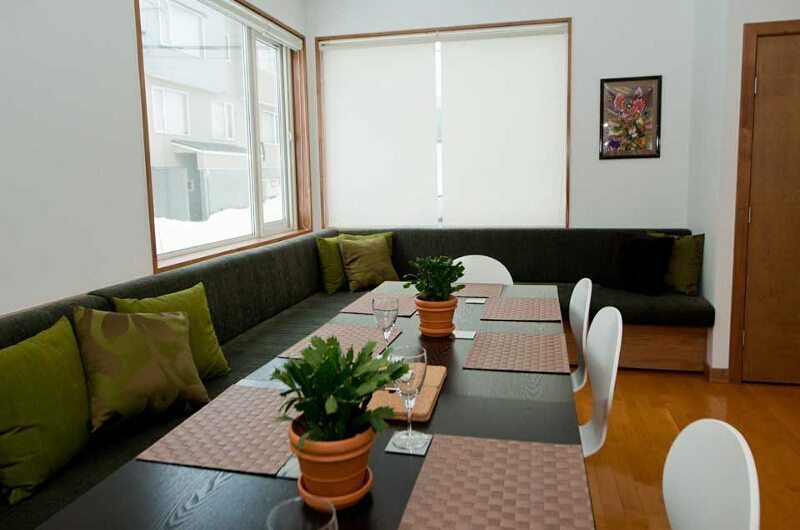 Shirokuma Chalets are a pair of stylish chalets side by side in the heart of Hirafu village. 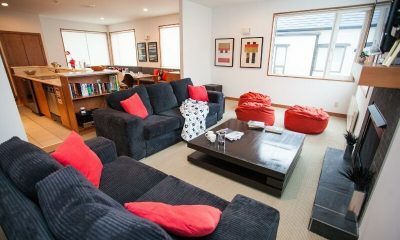 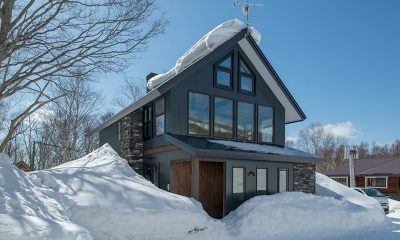 Comprised of 4 bedrooms in total, Shirokuma Chalets are a perfect choice for a large family or group, looking to stay close the famous Ace Family Lift and some great eateries and bars. 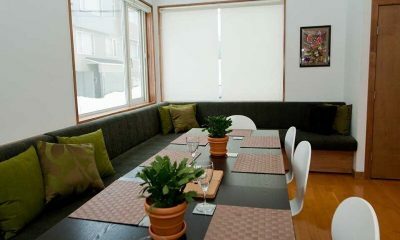 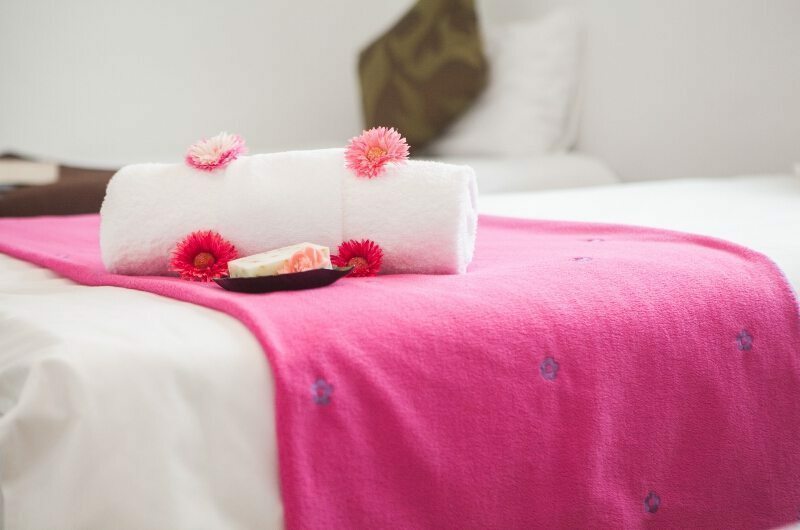 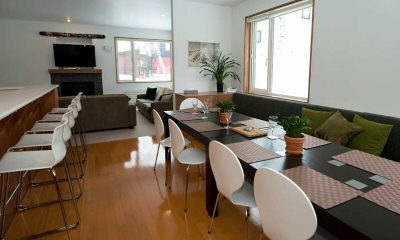 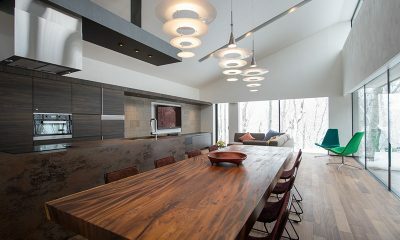 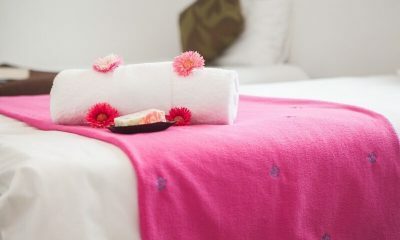 The design and decor of each chalet are done up to perfection that ensure all the comforts of a memorable holiday in Niseko. 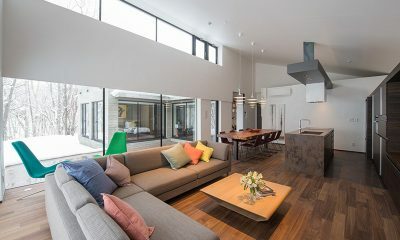 The living area and dining area is spacious with an open-plan layout which ensure the ease of cooking meals. 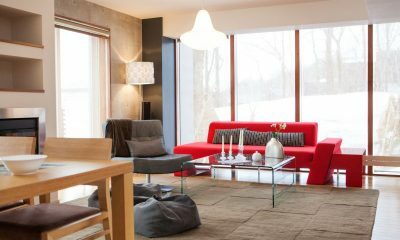 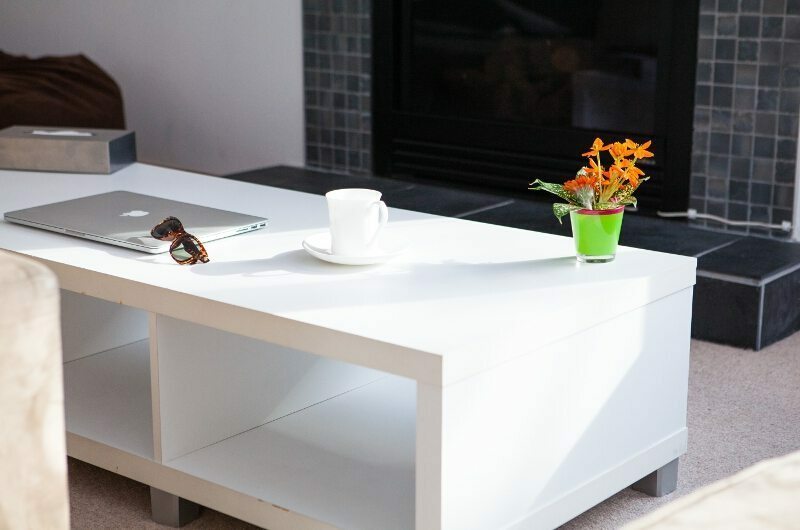 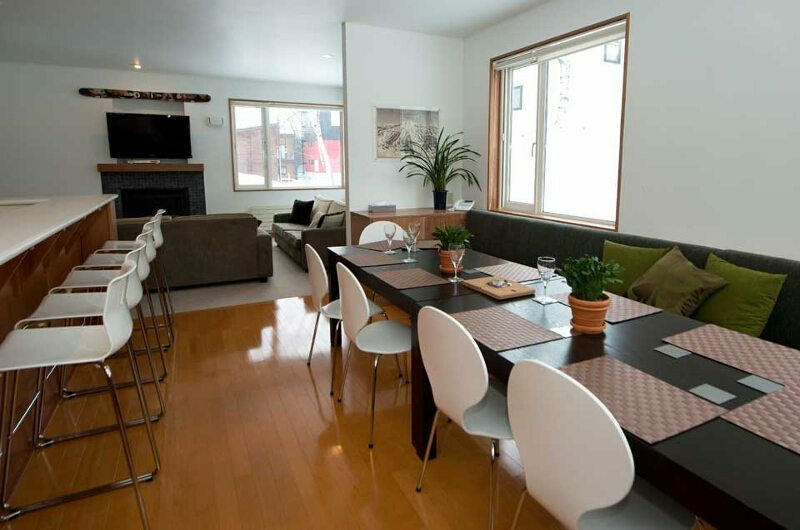 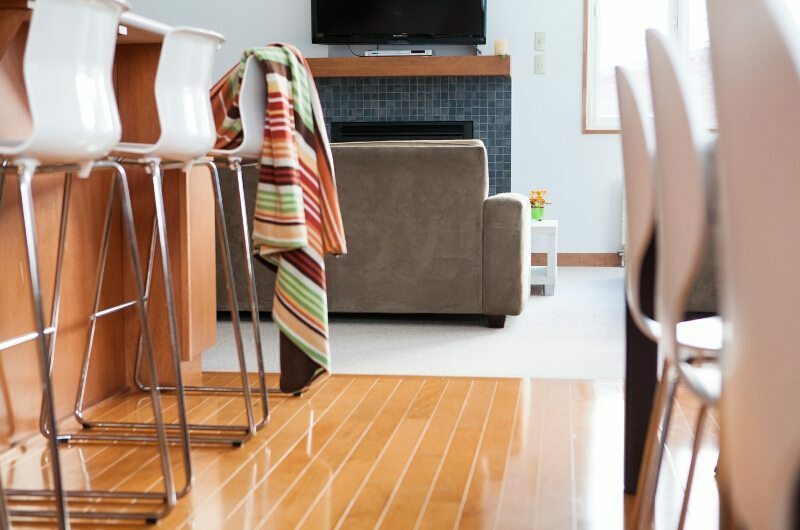 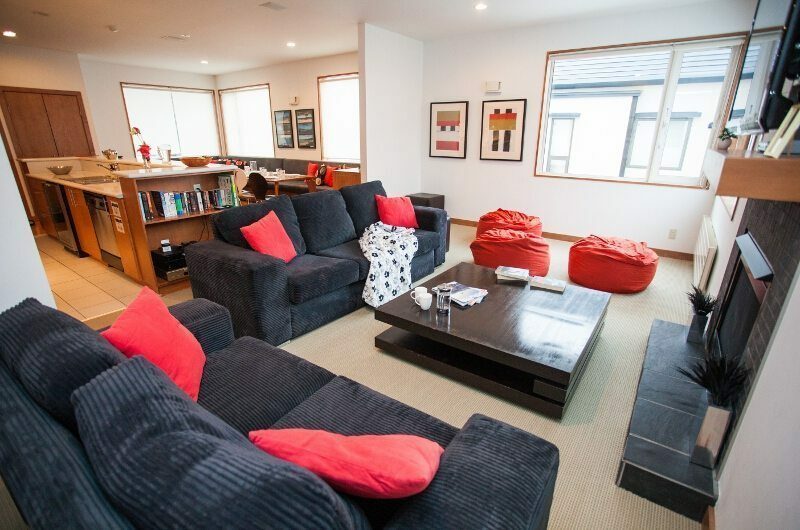 The living room is furnished with wide couches and pillows, a gas fireplace and warm plush carpet to keep you cosy. 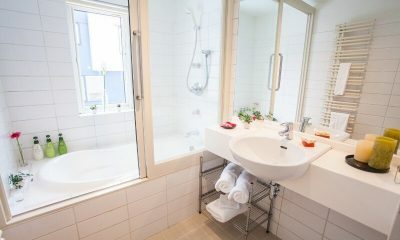 For your entertainment needs, it also has large-screen satellite TV with stereo sound, DVD and iPod connection and free Wi-Fi. 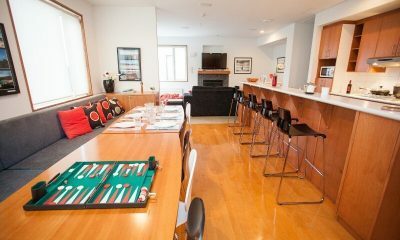 The kitchen and dining area is done up with modern furnishings with a table and plenty of seating that provide opportunity for groups and families to gather and celebrate. 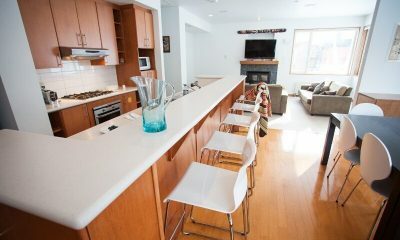 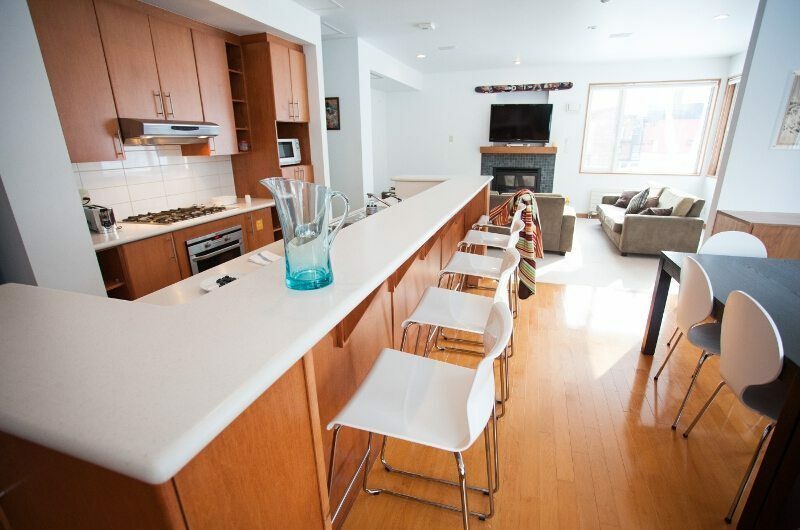 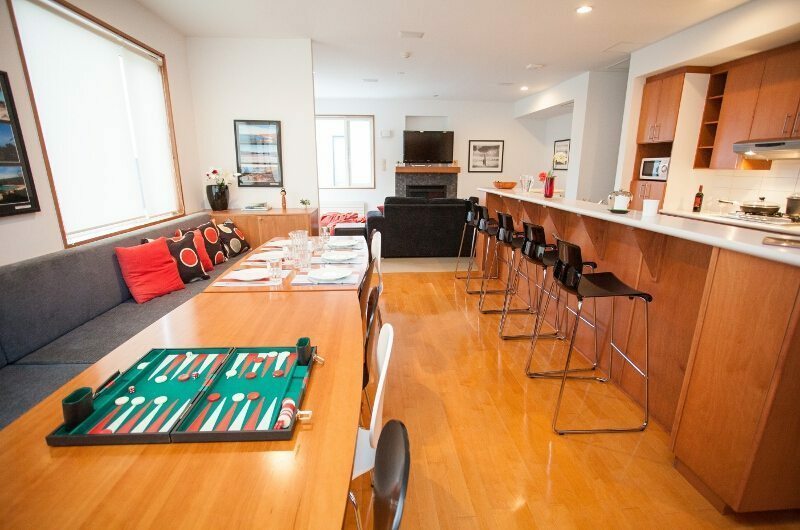 The open plan kitchen comes with modern amenities and a breakfast bar. 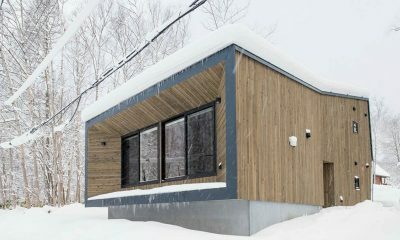 Each of the Shirokuma Chalets has four bedrooms, but the bedding configuration is slightly different. 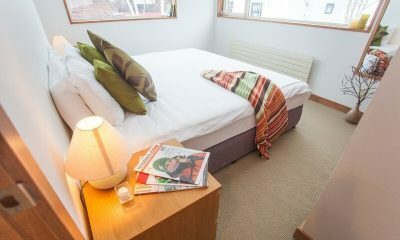 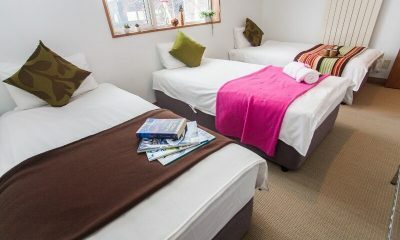 The first chalet has two bedrooms with a split bed which can be set up as a king or two single beds as needed. 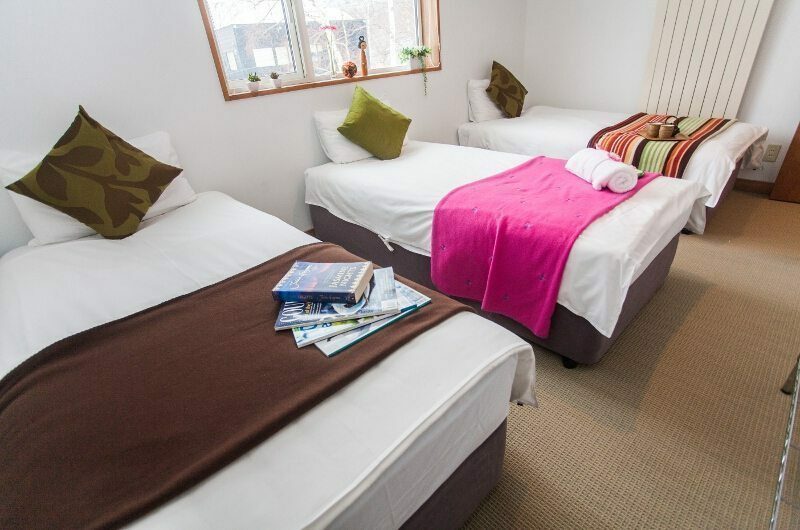 The two remaining rooms have the same set up: one set of bunk beds (sleeps two) and one single bed in each room. 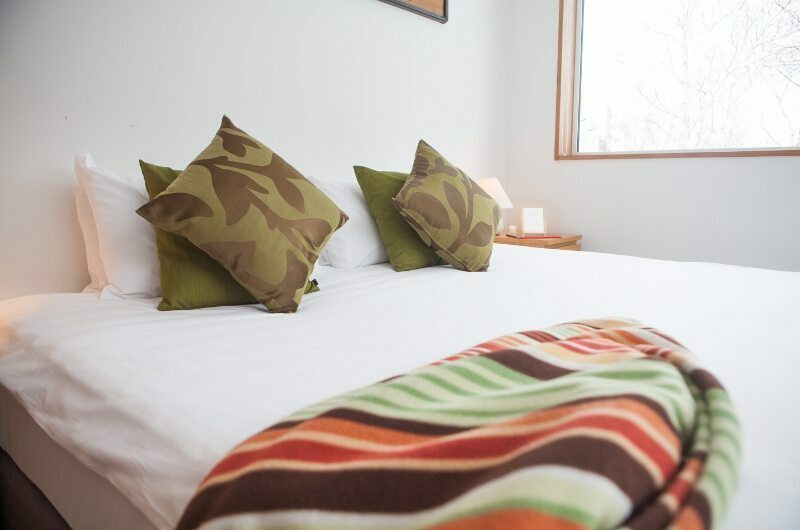 The second chalet has two bedrooms with a split bed which can be set up as a king or two single beds as needed. 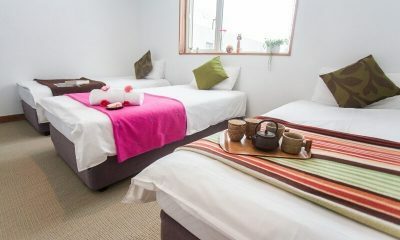 The two remaining rooms have the same set up, with three single beds in each room. 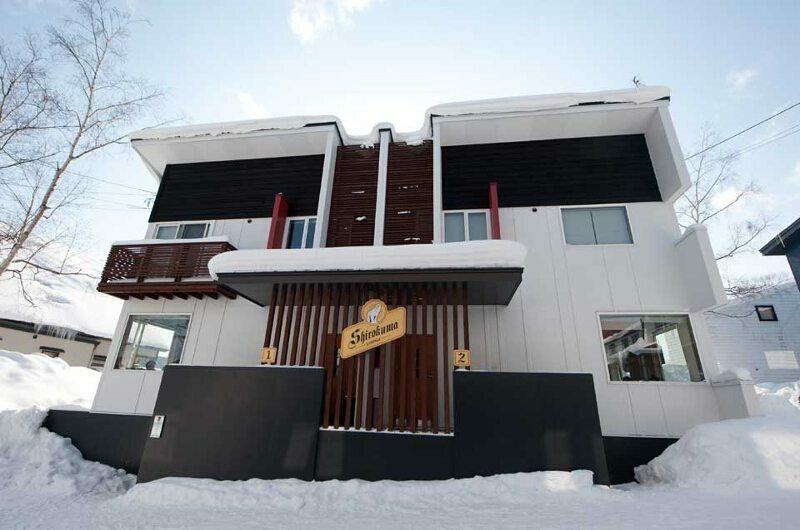 Note that no extra guests are allowed in Shirokuma Chalets 2. 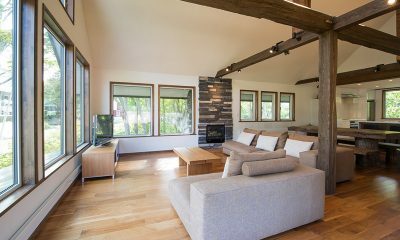 Shirokuma Chalets is an elegant 4 bedroom twin chalet designed in an open plan concept comprising of an enormous living/dining and kitchen areas. 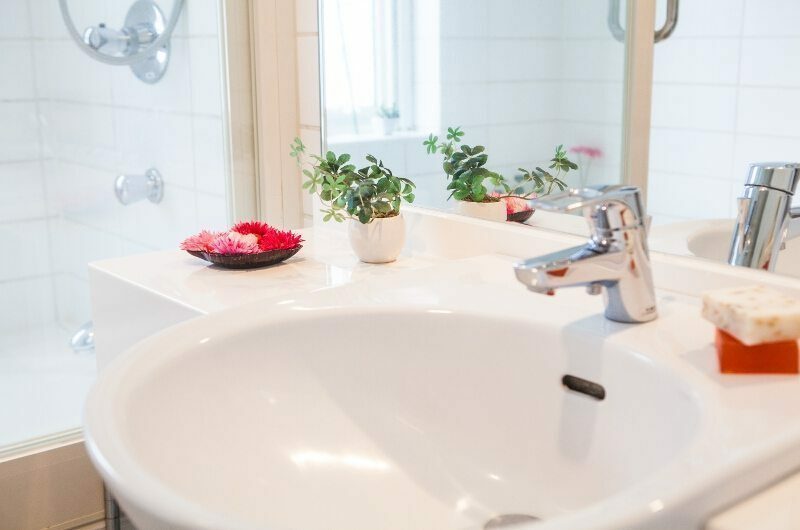 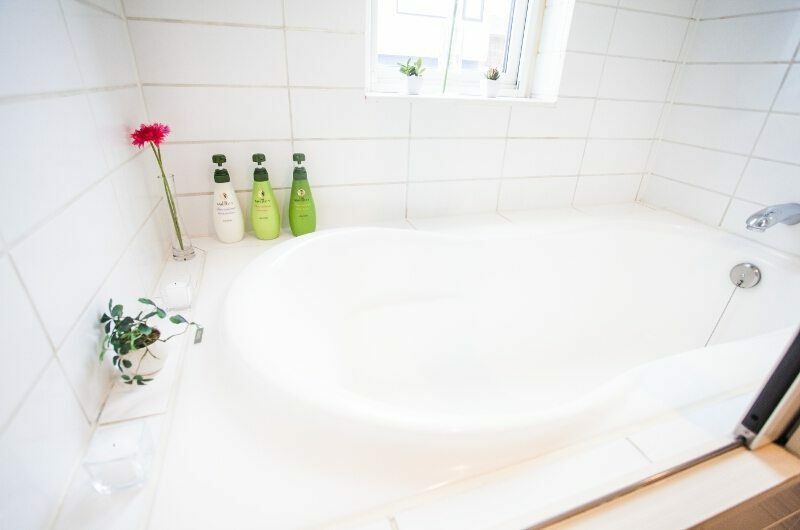 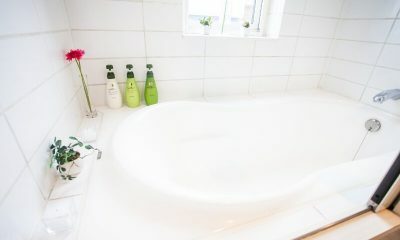 The four bedrooms are spacious, two bedrooms with ensuite bathrooms and the guest bathrooms with a shared bathroom over two storeys of the property. 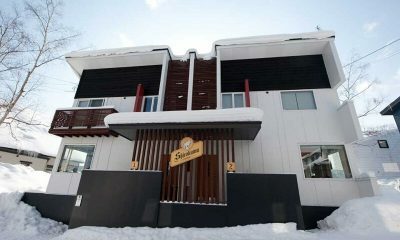 Shirokuma Chalets is located towards the lower part of Middle Hirafu Village, amongst several similar apartments and chalets. 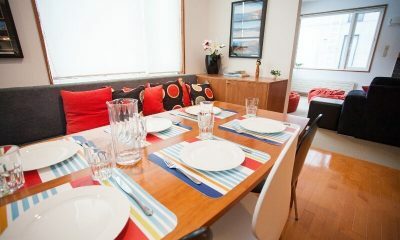 It’s close to a number of restaurants and bars but still retains peace and quiet. 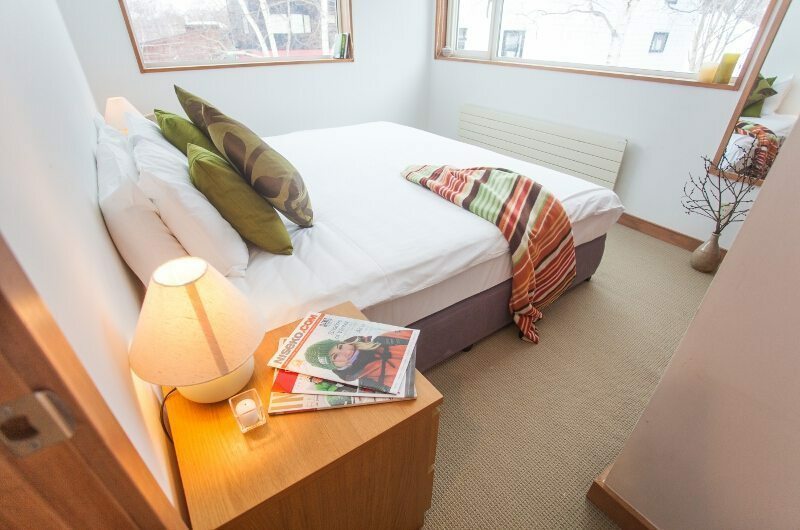 The chalet is 10 minutes away from the closest lift and from the shuttle bus stop. 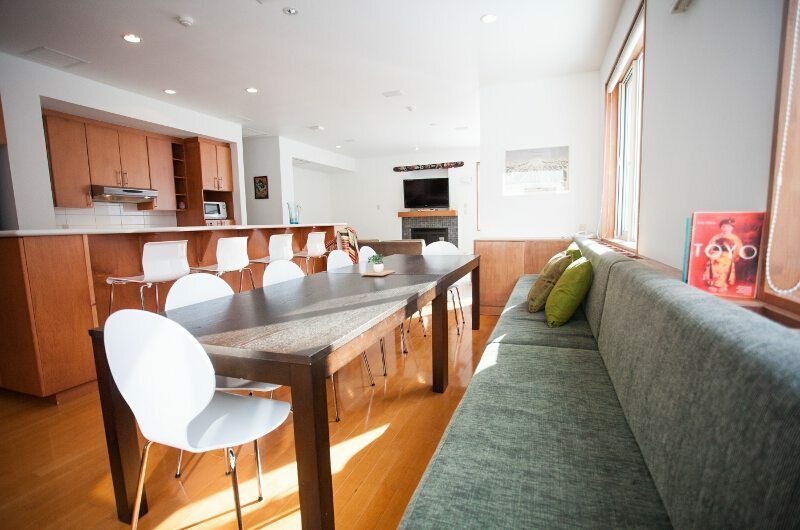 There are 2 chalets side by side which create an 8 bedroom option. 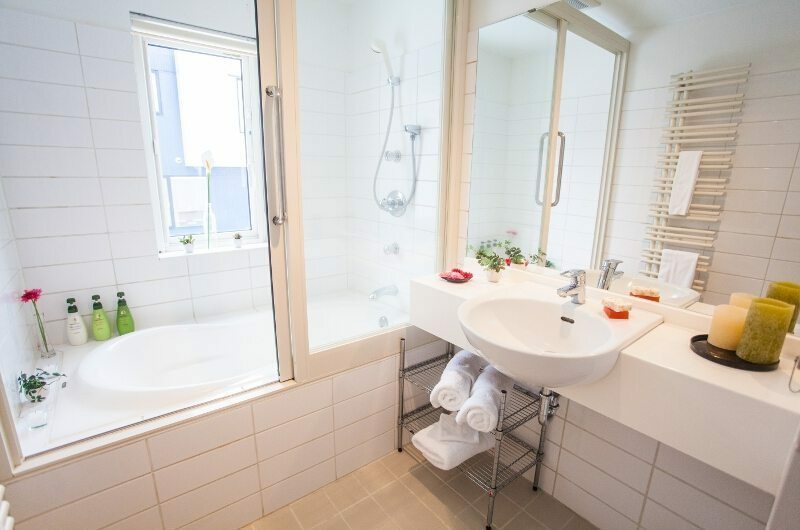 Great for those wanting to wanting to travel with another family but not necessary stay together 😉 Close to all the action and restaurants in town. 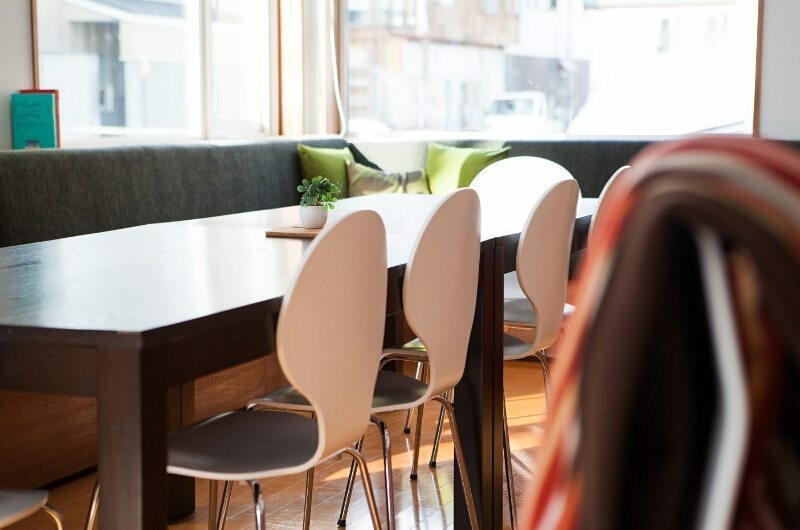 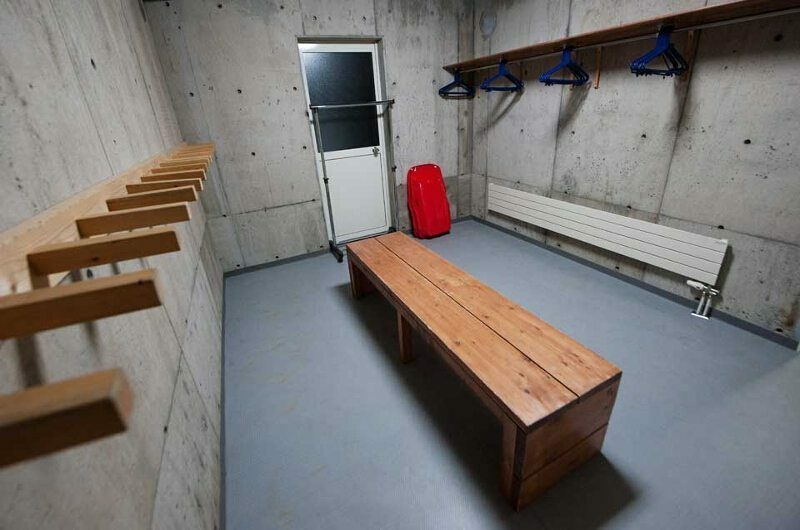 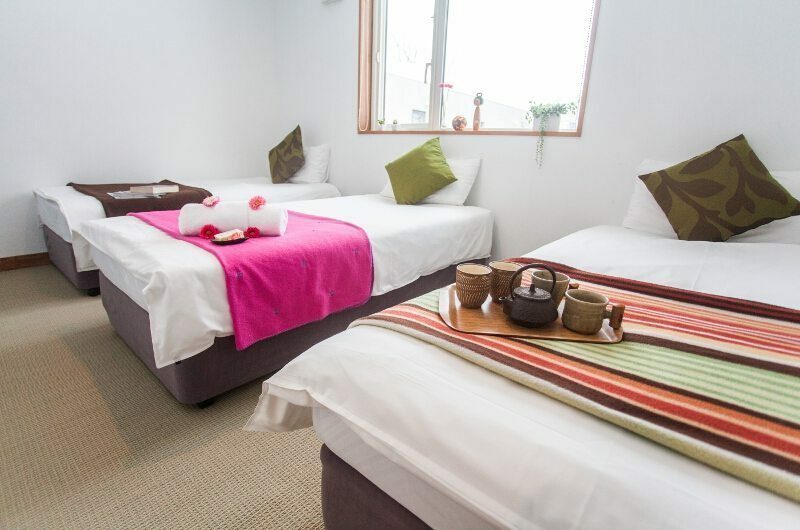 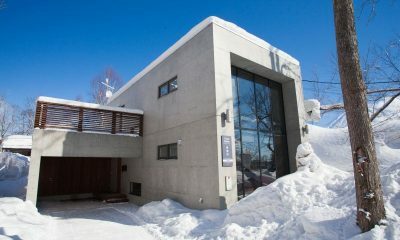 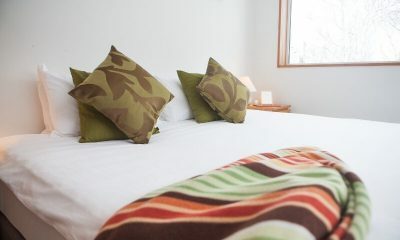 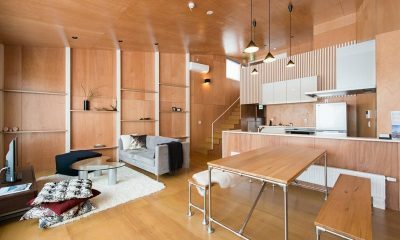 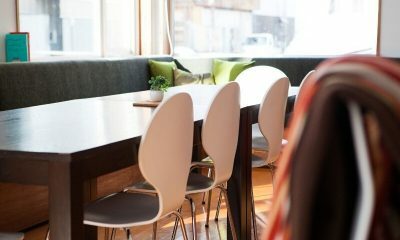 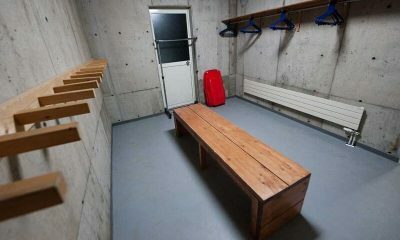 Yume Basho is a funky concrete chalet offering a comfortable stay in Hirafu’s relaxed Lower Village.